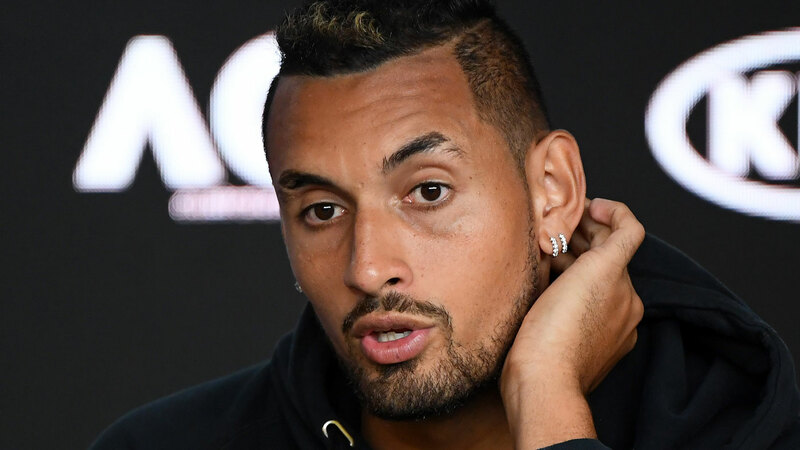 Nick Kyrgios said there was "not really" a rift between he and Australian Davis Cup captain Lleyton Hewitt after being roped into an explosive conflict started by Bernard Tomic. 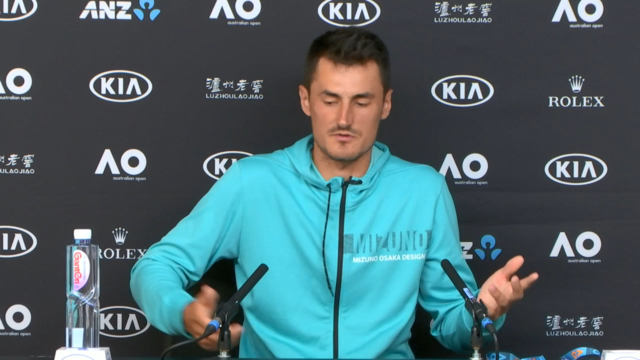 Kyrgios and Thanasi Kokkinakis were named when Tomic claimed that "no one likes" Hewitt, and Kyrgios did the bare minimum to downplay Tomic's assertion after bombing out of the Australian Open in Round 1 on Tuesday night. He said, in a strange tone, that he was "not upset" about being named in Tomic's rant. Here is what Kyrgios said after losing to Milos Raonic in straight sets at Melbourne Park. NK: (Long pause, shakes head, smiles). I don’t know what to say. I don’t have a big deal with anything. Like, I’ve always wanted to play Davis Cup. I love Davis Cup. If I don’t play, I don’t play. Like, I’m available. That’s all I got to say. Like, what do you want from me? NK: This bloke does not stop. 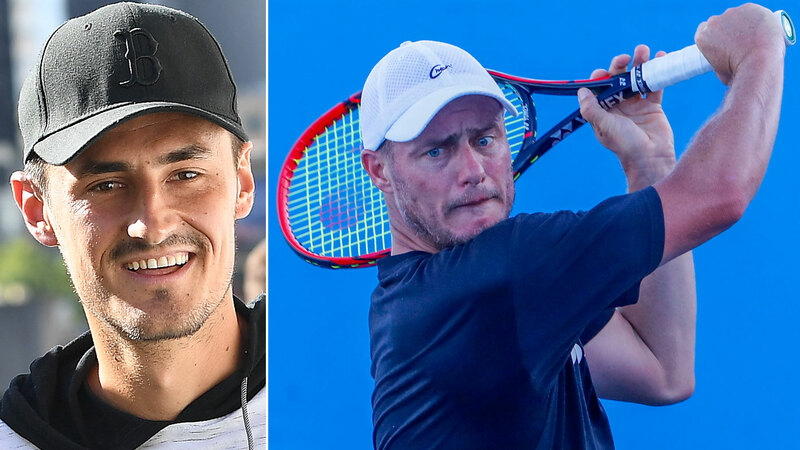 The Tomic-Hewitt spat turned sinister on Tuesday when Tomic revealed that he had threatened physical violence against Hewitt in the past. Earlier, Hewitt downplayed the conflict with Tomic and said "I don't think there's a rift" with other players. 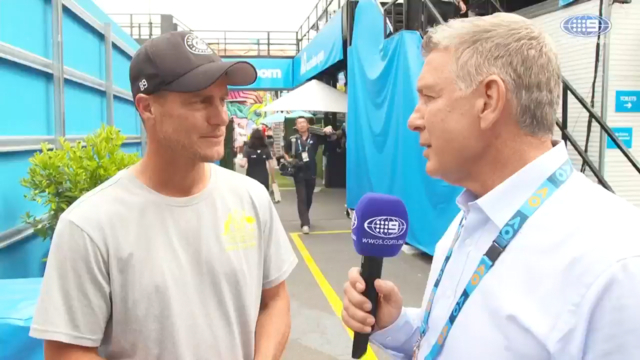 “I had a bit of a laugh to be honest, especially after a loss last night going in and complaining about a few things, so for me I just laugh it off and move forward,” Hewitt told Channel Nine in an exclusive interview (watch above). “I'm working with so many of the guys as well, so I'm still excited. I guess the disappointing thing, the Aussies had such a great day yesterday on both the men's and the women's side and it probably got overshadowed by Bernard's comments. Kokkinakis refused to comments on the furore after retiring from the Open with a pectoral injury. However, he described claims of a fallout with Hewitt as "bulls--t" several days earlier. Tomic claimed that he had received widespread support for his comments, but they were slammed by Australian tennis legend Todd Woodbridge as the words of a man trying to deflect from his poor performance. “Kokkinakis, Kyrgios, we don’t want to play anymore because he’s ruined the system. I mean, go away. Why are you still in tennis?